Yes, we didn&apos;t say &apos;Female DJ&apos;s&apos; in the headline since they&apos;re all artists and an equally talented badass lot! 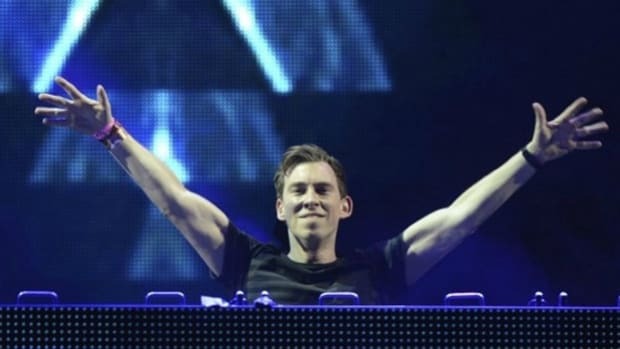 Besides, we can&apos;t recall a time when predominant forces in the industry like Tiesto or Martin Garrix, were referred to as &apos;Male DJ&apos;s.&apos; So it only seems fair, doesn&apos;t it? Today (and every day) let&apos;s take a minute to appreciate all the women in the industry who&apos;ve held their ground, made it and kept going regardless of every struggle they&apos;ve had to face. Let&apos;s be real, it hasn&apos;t been in the past and nor is it still, easy to be a woman in the entertainment industry, more specifically a woman in music and the EDM industry! This has been emphasized time and again with jarring stats reflecting the same, like this article by Thump showing the number of Female artists on famous festival lineups as compared to their male counterparts, straight up! But that being said, we&apos;ve had badass women who have pioneered the efforts and are paving the way for women in EDM to come. With mindsets to never take &apos;no&apos; for an answer or the easy route out, they&apos;ve stood their ground and made it even in this predominantly male-dominated industry. And today, the kickass team of women at EDM.com are taking a moment to celebrate some of our favorites and the impacts they&apos;ve had on us either as individuals or the scene in general! One trend that’s I’ve appreciated regarding women in recent years is how image has been downplayed in regards to female DJs. Women should 100% have agency over their bodies to dress or present themselves in a way that makes them feel most comfortable. However, as an average woman (who by no means has the curves of a Kardashian,) I’m encouraged by women that don’t choose to lean on their image to create their careers. Not all of us are models, but that doesn’t mean that we can’t be music fans and that we can’t have a place in this scene. 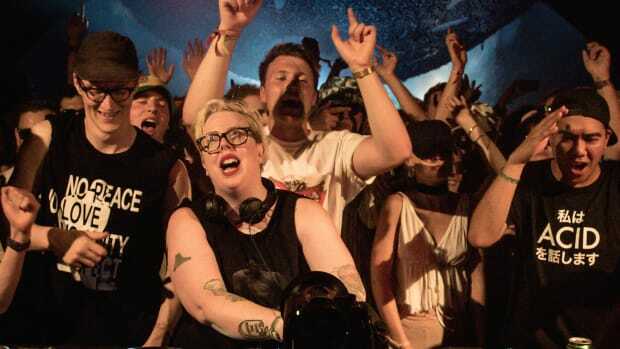 Women like The Black Madonna, Julia Govor, Charlotte de Witte, tiNI, Ellen Allien, and so many more, are all beautiful and intelligent women who have built their careers by dropping bombs in the booth – leaving no questions about why or how they got to their position. But that doesn’t mean that the work is anywhere close to being over. In the years to come, if we want to create room in this industry for women, then it’s important that we recognize where there is still progress to be made. Dance music, and the music industry, in general, need to be inclusive of all women and women-identifying members of our music scene. Collectives like Discwoman are helping to lead the charge by giving voices and representation to women of color, cisgender, queer, and transgender women. Music is one of the most powerful vehicles of social change, if we’re able to normalize the presence of women (and not just as token diversity) in music, then we can normalize new roles and positions for women in other aspects of society. Beatmaker, DJ, and full-time mother. Australian artist, Anna Lunoe, is truly a game changer in the industry. I stumbled upon Anna Lunoe in 2012, listening to her EP “Anna Lunoe & Friends” featuring Flume and Touch Sensitive. I was captivated by her, not knowing any other women in the music scene at that time. Since then, I have watched her evolve into a mature and established artist, creating albums and playing festivals across the world. She also started her own touring and music platform HYPERHOUSE. What I admire about her the most is her vulnerability. Through social media, she has shared her personal journey of becoming a mother while continuously growing her career. She also takes part in important causes, showing her versatility as an artist and a human. For International Women’s Day, she is hosting a fundraiser in Los Angeles called Goddess, with over 30 females artists taking the stage and donating all proceeds to the women’s shelter. She shows her humanity and artistry with grace, influencing me to continue to follow my passions. Her fearlessness has impacted my life immensely and I can’t thank her enough for that. 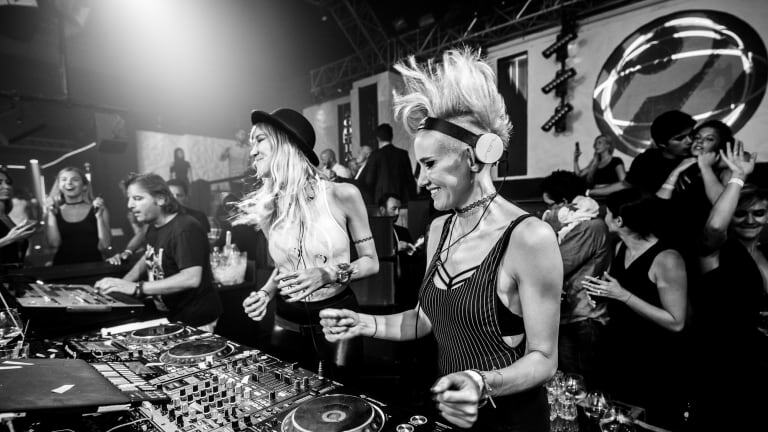 When I really started getting into electronic dance music, one of the DJs I always saw in collaborations and whatnot was NERVO. And if I think about it, they’re actually the first women DJs I listened to. When the Australian sister DJ duo started off their songwriting career they didn’t achieve as much success as they’d hoped and were on the verge of quitting. That turned all around when they gave it a second chance and signed on with Razor Boy Music Publishing where they co-wrote David Guetta and Kelly Rowland’s Grammy award-winning track “When Love Takes Over.” Their music career skyrocketed from there and, lo and behold, now they’re one of the world’s highest paid women DJs. If there’s anything NERVO’s taught me it’s that you never know what opportunities still await, so you shouldn’t give up just yet. Last year I found myself listening to a lot of Krewella and for good reason: they were and continue to be on fire. They released the first of two parts of their epic New World album and went on tour. And they haven’t stopped yet, having released “Alibi” last month. They’re also planning on releasing the second part of their album this year too! The sister DJ duo has definitely come a long way since their hit “Alive” (which will probably always be my favorite Krewella track) and, as someone who is also close to their sister and collaborates on projects every once in awhile, they’re pretty inspiring too. I interviewed Maddy O&apos;Neal last fall and was really inspired by how long she&apos;s been in the game and how hard she&apos;s worked, from teaching herself everything about music with the support of a bunch of OGs in Denver, to building a 6 year career with a partner and being brave enough to leave and pursue her solo career, which has exploded since then. She&apos;s well-known in the Denver scene and has played support for mid-top tier artists around the country. Last fall she headlined her own show in Denver and it was great! Personally, I admire her bravery and tenacity and the fact that she went ahead and did what she wanted to do, regardless of what anyone else thought, and even though she was likely held to a higher standard than her male counterparts. 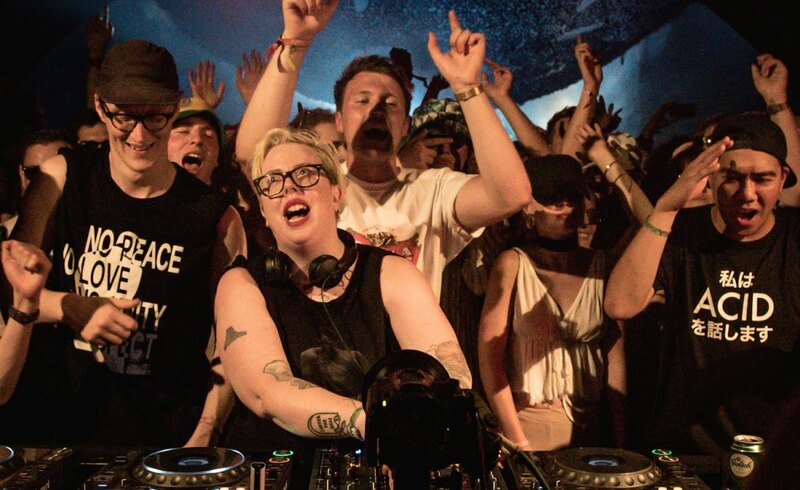 This do-it-anyway attitude speaks to the importance of "pioneer women" in dance music and the impact of the brave few who pave the way into new industries. 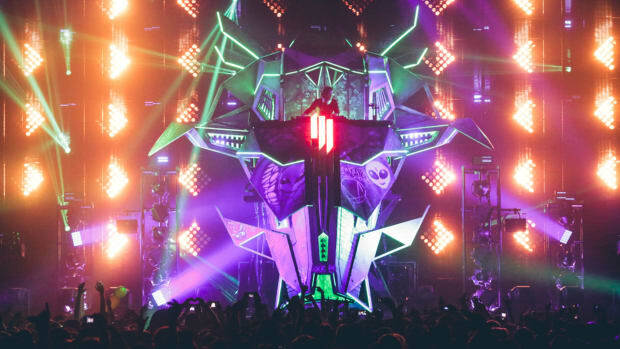 Alexandra Sholler, better known as Alison Wonderland, has always been a vocal advocate when it comes to issues like the social stigmas of mental illness, as well as issues women in the industry (and otherwise) have to face. The super talented DJ, Producer, Singer, AND Songwriter, has come a long way from where she began as a classically trained cellist with the Sydney Youth Opera. In 2017, in the light of multiple women speaking out against sexual harassment, she decided to open up and tell her story as a means to encourage women to come out and seek comfort, letting them know they weren’t alone. In addition being a stellar human being, she’s undoubtedly a force to reckon with behind the decks and has continued to prove so from the very beginning. Dropping bombs from her very first album in 2015, Run, to her last album Awake, which is set to come soon (!!) she hasn’t ceased to amaze us. Leading with letting her work speak for her, her undeniable success comes from things like making a mark for herself with being the highest-billed female DJ in Coachella history! She’s an inspiring and pure soul and a sure-shot force to reckon with at her job and we can only wish her more power and success in her endeavors of inspiring the next generation of DJ’s that follow suit, regardless of them being male or female. She IS the embodiment of the advocates of change we need today to make this a more inclusive industry! Denver local Aviva Sonenreich, who goes by AViVA, has finally started to gain more traction in the industry after being a part of the scene for a while now. I have heard her name for perhaps the past year or so, but just recently started to get into her music and vibe after I saw one of her live sets. Let me tell you, this girl throws DOWN some spooky, deep house and is incredibly kind. What I personally like about AViVA is not only her badass-ness that she puts forth both in her live sets and over social media, but also her loud call to girl power, specifically in the music industry. She has talked about breaking the stereotypes of being a female producer, as well as the different expectations that women have from men in the industry as a whole. AViVA is, in one word, real. And I dig that. Although I do love her because we share the same name, Lauren “DJ Kittens” Abedini has been one of my favorite DJs to watch grow over the last few years. Her performances seamlessly mix hip-hop, trap, and EDM, and she is a force on stage. Her all-female DJ workshop series was incredibly empowering, and all proceeds went to a local women’s shelter. Not only is she vocal about women’s rights, LGBTQ rights, and a youth advocate, she also puts action behind her words. She also recently just announced a residency at Drais in Vegas AND is also playing EDC for the first time this year! I truly cannot wait to see where her career goes next. Rezz is a female artist that has inspired me the most for the fact that she is unapologetically herself. Her music is unique, which most people stray away from in order to get the most amount of fans possible. Rezz stuck to her style and built a “cult” of dedicated fans to this style of music that wasn’t highly popular before her. Rezz is inspiring because she took years to perfect her sound, grow her fan base, and grow as an artist and I feel that she deserves all the success that comes to her. All said and done, it is a fight - But one where there is imminent progress being made and battles being won. With the eventual goal of equality in mind, the long drawn out journey may not result in attitudes and outlooks towards &apos;Female DJ&apos;s&apos; changing overnight, and sexism cannot just go away. And in our own little effort to take a step forward, we can all draw attention to the issue and talk about it, since in our opinion, sitting quietly is just going to enable the prevalent patriarchal attitudes to persist! Turning over to a new chapter will need more than individual success stories, and in an effort to take steps towards this we&apos;d like to recognize organizations like She Said So, Women of EDM and Discwoman! More power to these amazing ladies for being enablers of the change we want to see! 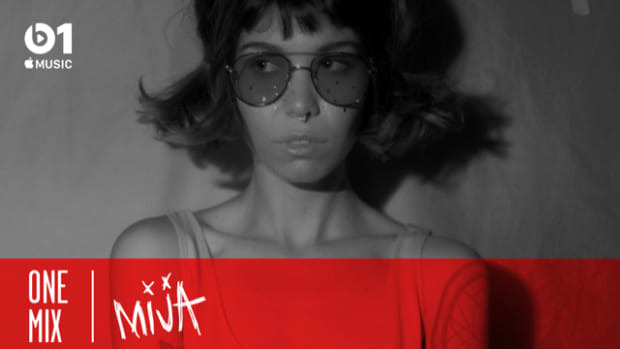 Mija presents 60 minutes of all-female music, including tunes from Grimes, Billie Eilish, and Bjork. We asked: What Was the Craziest Show You Have Ever Witnessed? Enter some of our greatest concert stories! And here's another powerful woman in Dance music coming forward to reveal her story of sexual harassment and how she decided to deal with it! The king of Big Room, Hardwell is back with an absolute banger featuring Chinese pop sensation, Jolin Tsai. Listen to “We Are One” here! 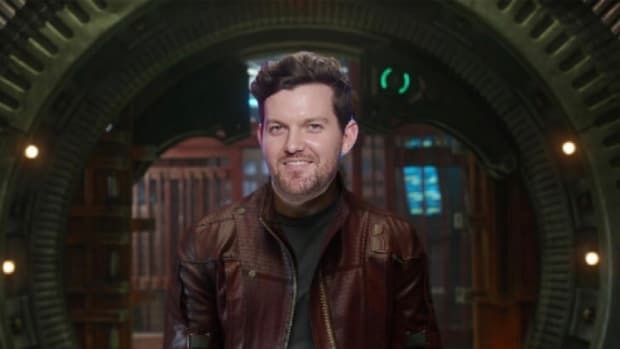 For those of you who still can't get over this movie! 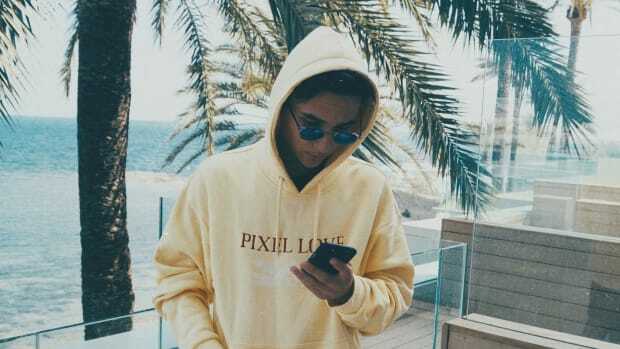 At only 19 years of age, he's already played at Tomorrowland and is supporting Martin Garrix on his Ushuaïa Ibiza shows!